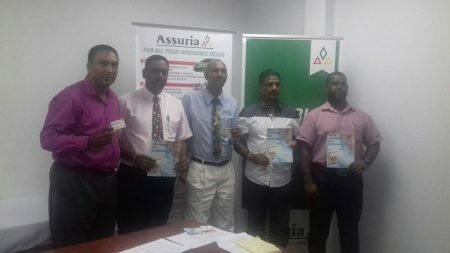 Assuria General Guyana Inc and Assuria Life Guyana policy holders will be able to benefit from 5% discounts off their purchases from more than 40 companies countrywide under Assuria’s new rewards programme. The multi-discount rewards programme was launched on Thursday at the company’s Church Street location. “For a long time, insurance companies have been operating traditionally without much innovations. 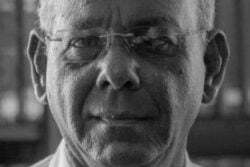 We wanted to change this approach and offer such a programme that would allow our current and future policy holders to save thousands of dollars annually,” General Manager of the Company Yogindra Arjune was quoted as saying in a company statement. It was noted that with the upcoming Christmas season, customers would be able to “enjoy significant savings” on their purchases. (From left) Aleem Hussain, Managing Director of NexGen Marketing; Yogindra Arjune, General Manager of Assuria; Erwin Daniels, Head of Life Department, Assuria; Stephen Narine, proprietor of Steve’s Jewelry; Damian Singh, Internal Auditor of National Hardware at the launch of the multi-discount rewards programme on Thursday. The discount cards will be available to all customers with a valid policy, and can be accessed by simply making a request at any of Assuria’s locations. Assuria also has branches in Vreed-en-Hoop, Parika, Diamond, Williamsburg, Berbice and at the Giftland Mall. It was explained that use of the cards will extend beyond the policy holder to the family members of customers. The 40-plus companies that are partnering with Assuria on the rewards programme are from several areas of service, including restaurants, spare parts stores, hardware stores, resorts, opticians, jewellery stores and variety shops. Two of those partners were present at the launch—Stephen Narine, proprietor of Steve’s Jewelry, and Damian Singh, Internal Auditor of National Hardware. “…Assuria, since its inception in this market, has decided to be a trendsetter and be a leading player in the insurance industry. As it relates to our products and our service to our customers, management and staff alike are very, very serious of what we want to do and how we want to present our products and services to our customers. So Mr Arjune in his capacity as General Manager, being the visionary that he is, is always pushing to see how he can give back something of value to our loyal customers…we want to give them a tangible reward for their loyal service to our companies…,” Erwin Daniels, the Head of Life Department at Assuria remarked. Calling insurance a “necessity,” Arjune related that Assuria has been implementing initiatives to increase affordability for its customers, including allowing monthly payments for life insurance policies and quarterly payments on others. He indicated that there are hopes to also make monthly payments available on the other insurance packages. 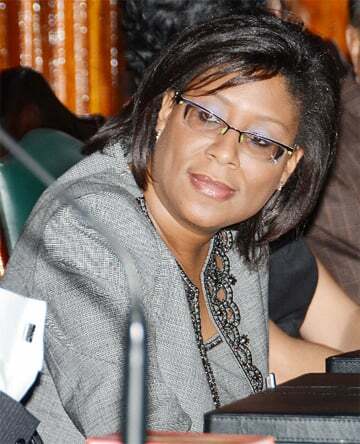 “We have to make insurance so easy for persons to pay that while they are seeing that it is so badly needed, the affordability should not be a challenge, we have to make it easy…,” Arjune said.